Want to see all the technologies used by comodo.com? Comodo is an internet security company providing consumers with a variety of free and paid firewall, antivirus, system cleaner, backup, and PC support products and services. Their primary free product is Comodo Internet Security, a security suite combining firewall and antivirus software. 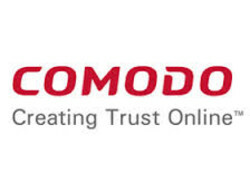 Comodo is also a leading SSL certificate provider, which they offer freely for 90 days. For a quick look at additional technographic info on comodo.com or any domain on the web, download our Chrome Extension. Check out our help article to see how Datanyze Insider can help you.